Eight accomplished community leaders from the State of Missouri will be honored at the 24th annual Missourian Award ceremony on September 23rd, 2017 at the Chateau on the Lake Resort in Branson, Missouri. The Missourian Award was founded by John Q. Hammons and Ralph Slavens for the purpose of acknowledging the most accomplished citizens of Missouri. To be selected, individuals must have been born in the State of Missouri, or under exceptional circumstances, they may qualify by having spent at least fifteen years of their adult life in the state. Nominees must have made an outstanding contribution to their state or nation in one of the following fields of endeavor: civics, business, arts, or politics. However, no person from the political field are considered until they have been out of an elected or appointed position for at least two years. These incredible individuals, along with Past President and Founder Ralph Slavens, will be honored at the annual ceremony being held at Chateau on the Lake, Branson, Missouri. Ceremony proceeds benefit of American Heart Association. Through the Get Well Make Well program, a serving of re:iimmune will be donated for every box purchased to organizations who work daily to improve the health of under-served populations and catastrophe relief. Your purchase of re:immune helps you to “get well” and simultaneously helps “make well” the life of another. 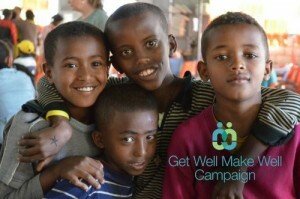 To date Get Well Make Well has enabled us to donate over 100,000 servings world-wide through Convoy of Hope. Every year a half million children under the age of 5 die from dehydration and millions more suffer from poor intestinal health and malnutrition. Lack of clean water sources lead to an increase of diarrheal diseases which cause severe dehydration, leaving the body in a depleted state and requiring more than just plain old H2O to rehydrate efficiently. 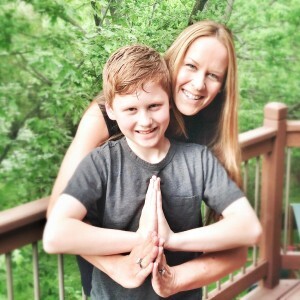 Dr. Kerri Miller, the creator and founder of Make People Better spent time volunteering as a medical aid in Nicaragua where she witnessed lethal dehydration up close and inspired her to develop re:iimmune and eventually the Get Well Make Well campaign. She worked with the Nicaraguan government to introduce the World Health Organization’s protocol and implement the use of the oral rehydration solution with zinc for immune support. A prebiotic and probiotic complex promote the growth of beneficial bacteria which help destroy bad bacteria and support the immune system, while L-glutamine assists in tissue repair and ginger reduces nausea. By first restoring hydration and then offering support to the immune system, re:iimmune proved helpful to people facing terrible intestinal diseases such as cholera and dysentery. Our Get Well Make Well campaign gives you the opportunity to help people a world away. For each box of re:iimmune sold, one potentially lifesaving serving is donated to organizations who work daily to improve the health of underserved populations and disaster relief. 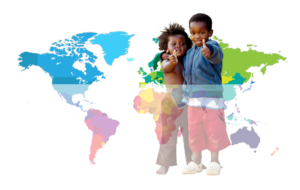 If you would like to get involved and use re:iimmune in your global health organization please follow this link to obtain more information. First of all, what a lovely name, Convoy of Hope. When times are dark and disaster strikes, a convoy of caring individuals spreading hope and trying to create solutions to problems is not only a comfort, it’s a necessity. Founded by the Donaldson Family in 1994, the inspiration for starting the organization was born out of their gratitude for the many people who reached out and helped their family after their father, Harold, was killed by a drunk driver in 1969. Over the years, they’ve worked with churches, businesses, government agencies and other nonprofits to provide help to over 79 million people suffering from impoverishment, natural disasters and hunger. They are a multi-year recipient of the prestigious Four Star Charity Award from Charity Navigator. Convoy of Hope makes it’s home, as re:iimmune does, here in Springfield, Missouri. It’s an ideal location right in the middle of the country for their distribution center as its proximity to U.S. 65 and I-44 allows for rapid transport of goods. Food and other relief supplies are transferred to and from the warehouse weekly. Over twenty years time, the organization has helped provide disaster response, conduct community outreach events and direct nutritional programs and sustainability projects in 48 states in America. Internationally, here are just a few places where Convoy of Hope has reached out a helping hand. We’ve taken these directly from their website and there are plenty more examples if you’d like to learn more! We began feeding children in the Philippines in 2009 and it has become one of our largest feeding countries with 28,024 children currently enrolled in the initiative at 235 program centers. The Philippines is prone to natural disasters such as earthquakes and typhoons, so having an efficient feeding network allows us to respond quickly when disasters strike the island nation. After establishing our program in Kenya in 2009, we began helping the Maasai people find ways to get clean water to their villages. Maasai tribes in one region had been desperately searching for ways to overcome their lack of water when they discovered the answer lied within Mt. Suswa, an active volcano. They found that the lava flow running beneath them was heating existing ground water, turning it into steam and trapping it in the earth. They began harvesting the steam by inserting pipes in the ground and collecting it as it turns to distilled water. We’ve funded the work at 12 sites where the Maasai are utilizing this method. There are currently 2,574 children being fed at 15 program centers in Kenya. We began feeding children in El Salvador in 2007 and the initiative has seen positive growth in the years since. Currently 11,296 children are being fed at 79 program centers s in El Salvador. We also piloted our Mother’s Club program in this country, through which we provide poverty-stricken mothers with entrepreneurial skills they use to earn a living and provide for their families. We are so proud to partner with the people at Convoy of Hope for our Get Well, Make Well campaign which enables customers purchasing re:iimmune to help another person in need. When you buy a box, a serving is donated to relief organizations working to improve the health of underserved populations suffering from dehydration and intestinal maladies. 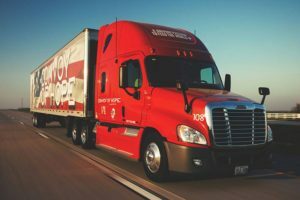 Our partnership with Convoy of Hope is vital to this process and in the spirit of the holiday season, we wanted to extend our thanks to this fine organization by telling you a bit more about what they do domestically and internationally in an effort to help wipe out hunger and malnutrition and to improve the quality of life of those most in need. Thank you Convoy of Hope for all the good you bring to the world! We are thrilled to partner with them! If you or your organization would like to donate to, partner or volunteer with Convoy of Hope, please check out their Get Involved page on their website. Friends, Haiti needs our help! After the recent devastation of Hurricane Matthew, Haiti’s citizens are facing a terrible outbreak of cholera as reported by news outlets such as nbcnews.com. Cholera is a an aggressive diarrhoeal infection caused by ingesting food or water contaminated with the bacterium Vibrio cholerae. People who have been infected begin to show symptoms within 12 hours and 5 days after exposure. Cholera can cause severe acute watery diarrhea which leads to dehydration. In severe cases it can kill within hours if left untreated. The bacteria remains present in feces for 1-10 days after infection and are then shed back into the environment, potentially infecting more people. Our partners, Convoy of Hope and Project Hope have boots on the ground in Haiti. They are providing water and supplies within their relief efforts, but water alone is not enough. re:iimmune’s hydrobiotic technology is clinical strength hydration with intestinal immune support, the very thing to aid in relief efforts when IV’s are scarce and a rampant spread of intestinal disease is ever present. Can you help us get more re:iimmune to the people who need it the most? Make your donation today and we’ll get it to Convoy of Hope and Project hope for delivery. Let’s make a difference today! Water is the source of life. But what if you aren’t lucky enough to live in a country that has developed sanitation and easy access to clean sources of that gift of life? In much of the world, water then turns from being “medicine” and instead becomes the infecting agent of terrible illness and death. As reported by the World Health Organization, each year gastrointestinal diseases kill 2.2 million people globally, primarily in developing countries where citizens lack access to clean drinking water. Contaminated water spreads malaria, dysentery, cholera and a host of other horrors which bring on diarrhea and weaken the body’s immune system. This year, a half million children under the age of five will die from dehydration and millions more suffer from poor intestinal health and malnutrition. Our goal has always been to save lives by changing these awful statistics and we know you want to help! We understand that the weight of the world’s problems often leave folks feeling helpless and at loss for how to make a difference. Sometimes it is the simplest of actions that make the biggest impact, and our Get Well, Make Well campaign enables our customers to take part in changing and saving lives around the world. It’s pretty simple; For every box of re:iimmune purchased, a serving is donated to relief organizations working to improve the health of underserved populations. Your purchase of re:immune helps you to “get well” and simultaneously help “make well” the life of another. We are proud to join great organizations like TOMS Shoes and to partner with humanitarian organization Convoy of Hope to distribute doses of re:iimmune to developing countries. To date, 80,000 doses have been donated and with your continued support we can make that number skyrocket! 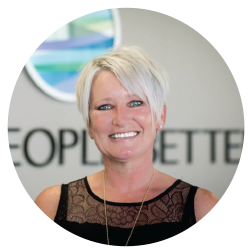 re:iimmune®, she was driven by an overwhelming passion to help make people better (hence the name of our company: Make People Better LLC). Whether you’ve grown up in a developed country, or built your immediate life in one, you may feel overwhelmed by the desperate situations others are facing all over the world that appear so far outside your sphere of impact, yet every day we are presented with opportunities to make a global difference. Thanks to companies like TOM’s shoes, MudLove jewelry, and S’well water bottles (just to name a few) we are able to reach across, otherwise impassable boundaries, and make a difference! Every time you purchase a box of re:iimmune®, one serving of potentially life-saving, Clinical Strength Hydration® and Intestinal Immune support formula is given to a person suffering from life threatening dehydration in a developing country. 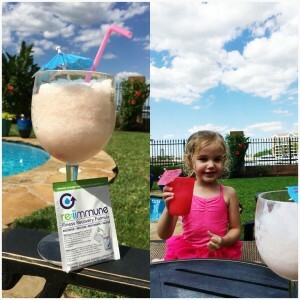 The combination of rapid hydration and multi-strain pre and probiotic blend in re:iimmune® not only helps you and your family get better, better™, but it also allows you to be a crucial part of our mission to end dehydration related deaths around the world! If you found this post helpful or interesting, please feel free to share it on your preferred social media profile! 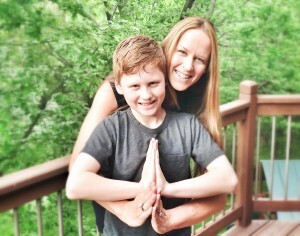 When your system is run down, your full life has you spinning in circles, and you have been granted the important task of keeping your children healthy, what keeps you going? Jeanne’ lets us in on her secret weapon! You know that sensation when you first wake up in the morning and it feels like you swallowed cotton balls all night long? Maybe I just need to invest in a humidifier, but nevertheless it takes me at least 10 minutes of lying there staring at the ceiling before I work up the energy to walk all the way down stairs for a fresh glass of water. Now, let’s put this in perspective. Maybe you can relate with me, or maybe you’re globally conscious by nature and thinking something along these lines; there are people all over the world who do not have the luxury of walking anywhere to grab a glass of clean drinking water, much less within their own home. Not to mention, their symptoms are way more serious than a scratchy throat in the morning. Dehydration is considered a pandemic today and it is responsible for a myriad of devastation around the world. There are many impactful organizations working to help bring clean water to rural communities in developing countries all over the world, whether it be by digging wells or introducing efficient water filtration systems. Yet, there are still an estimated 500,000 children under the age of 5 who will die each year from dehydration. This is a staggering amount that stops you in your tracks and makes your head spin when you let it sink in. There are so many factors that play into this widespread crisis. Where there is a lack of clean water, there is normally an increase in diarrheoal diseases that lead to more severe dehydration, and in turn leave the body in a depleted state that requires much more than just water to re-hydrate efficiently. 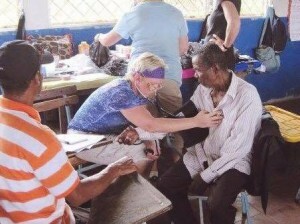 Dr. Kerri Miller, our CEO and founder at Make People Better, has spent 14 ye ars volunteering as a medical aid in Nicaragua, meanwhile she has witnessed this ongoing problem first hand. This close contact with lethal dehydration is what initially inspired her to create re:iimmune®. After working with the Nicaraguan government to introduce the World Health Organization’s protocol that includes the use of a new oral rehydration solution, with zinc for immune support, she’s now taken it a step further. She first created and introduced re:iimmune® right here in our backyard with the intention of addressing the poor hydration and gut health that plagues our own communities, she then set in place the Get Well Make Well campaign. Get Well Make Well gives you the opportunity to be a part of the solution! For every box of re:iimmune® that is sold, 1 potentially lifesaving serving is donated to an organization, like Convoy of Hope, to be distributed in a developing country. With its unique pre and probiotic blend for intestinal immune support, and Clinical Strength Hydration™, re:iimmune® could make a world of difference for someone living without access to clean water. So the next time you’re feeling run down, dehydrated, or generally in poor health, thank your lucky stars that re:iimmune® is but a pharmacy away (or a click away for you online shoppers) and know that as you take that first sip towards getting better, better- you are impacting the life of someone in need.